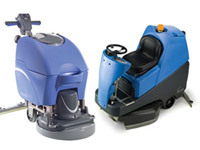 What is the purpose of the TT-4045 Floor Scrubber? The TT-4045 is a powerhouse floor scrubber that out cleans and outlasts battery powered machines. With its mains power, this cable machine lasts over approximately three times longer than similar battery-operated machines do. Because of its non-dependence on batteries, the TT-4045 is much more cost effective than its battery-operated cousins. Operating in heavy industrial areas where floors are quite often excessively dirty with rough flooring as well as other less industrialized areas, this machine shows its versatility. 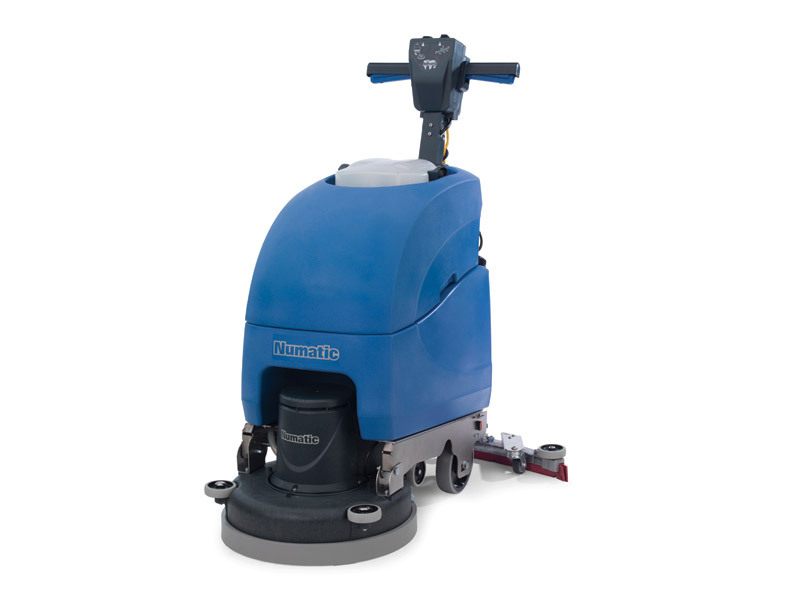 It is powerful enough to handle your toughest cleaning, yet cleans regular concrete floors with ease. The TT-4045’s stainless steel chassis also has a tilting system for its deck that allows brush changes to be made smoothly and efficiently. Its 40 litre polyform tank for clean water has a Flexifill flexible hose that extends for easy filling of the clean tank. It also has a 40 litre dirty water tank. The heavy duty motor for the brush provides powerful support for its 45 cm. 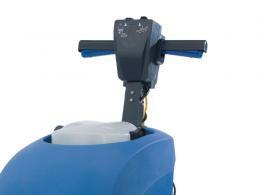 scrub width and is operated by its operator handle that is fully adjustable. 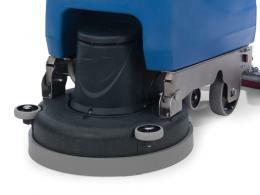 The TwinFlo vacuum motor is noted for its exceptional ability to do wet pick up. The TT-4045 has a planetary gearbox that is oil-filled, low load, and sends a heavy duty power transmission directly to the floor to clean even the dirtiest areas. This is a wonderful tool for in-house janitorial staff to use. The TT-4045 comes with our standard 1-year warranty on all parts and labour.